President Trump's decision to withdraw from the Iran nuclear deal focused understandable attention on the parties which negotiated it. But the move also carries implications for other regional states, including Egypt. In 2015, Egypt welcomed any initiative to stop a nuclear arms race in the region, but viewed the negotiations skeptically. "We would hope that the agreement reached between the parties would be comprehensive and fulfilling that would prevent an arms race in the Middle East and the complete elimination of all weapons of mass destruction, including nuclear weapons," said Egyptian foreign ministry spokesman Bader Abdul Atti. Three years later, former Egyptian Foreign Minister and incumbent Arab League Secretary General Ahmed Aboul Gheit expressed the same skepticism, saying the agreements focus solely on the nuclear program; it "is not the only element that should be pursued with Iran because it implements policies in the region that lead to instability." While the deal limited Iran's uranium enrichment for a limited time, Iran never stopped supporting terrorist groups targeting Egypt, including the Muslim Brotherhood, Hamas and Hizballah. And the deal failed to address Iran's expansionist ambitions in the region. Egypt has been in conflict with Iran's Islamist regime since the 1979 revolution ousted Shah Mohammad Reza Pahlavi and led to Ayatollah Khomeini's ascent to power. Egypt provided refuge to the dethroned Shah a year after Egypt signed a peace treaty with Israel at Camp David in 1978. In response, Iran ended direct flights to Egypt in 1979, and broke off all diplomatic relations with Egypt in 1980. Egypt remains the only Arab country without an embassy in Tehran. Iran provoked Egyptians years later by naming a main street in Tehran in honor of Khalid Islambouli, an Egyptian terrorist who assassinated President Anwar Sadat during a 1981 military parade. The street name remains, despite an Iranian promise aimed at improving relations, and new larger-than-life wall graffiti of the terrorist decorate buildings in Tehran. 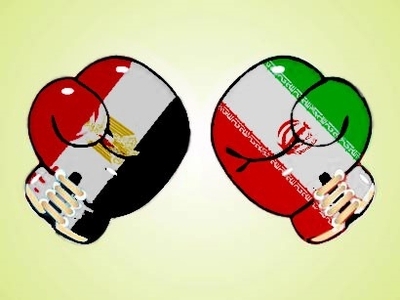 That form of animosity from Iran was met by Egypt's full support to the Iraqi state war against Iran (1979-1988) in which Egypt sold Iraq large amounts of its surplus Soviet-made weapons. Despite being in a major feud with Iraq as a result of Iraq's role in rallying the Arab states to boycott Egypt after the Camp David treaty, Egypt still chose to support Iraq against the Islamist regime, recognizing the greater long-term threat of Iran on Egypt and the entire region. Iranian espionage operations in Egypt spiked with multiple Iranian cells uncovered trying to infiltrate Egyptian society and institutions. In one example, Iran used a former Muslim Brotherhood member to attempt to establish a radical Shiite Islamist political party in Egypt under the name Shiite Liberation Party to promote Iranian Islamic revolution policies. Hizballah, Iran's terrorist proxy, planned terrorist attacks against Egyptian targets. Egyptian authorities arrested 49 Hizballah members in 2009 for planning three bombings in Taba, a city that borders Israel. The cell's members managed to escape and flee the country after Hamas terrorists broke into the Wadi Al Natroun jail in January 2011 amid the 2011 uprising against Hosni Mubarak's government. One, Sami Shehab, appeared later in Lebanon at a Hizballah celebration. Iran frequently hosts and supports Muslim Brotherhood leaders including former spokesman Kamal Al Hilbawy and Swiss-based financier Youssef Nada. Nada claims that he is simply seeking peace initiatives between Arabs and Iranians, but in reality he worked to bolster Iran's regional influence by routing intelligence from Muslim Brotherhood affiliates in Arab countries to Iranian operatives. During a 2016 meeting with Iranian Supreme Leader Ali Khamenei, Hilbawy described Ayatollah Khomeini as being his mentor as influential to Muslim Brotherhood members as their founder Hassan al-Banna and Brotherhood ideologue Sayyid Qutb. "We always say that we learned from Imam Khomeini as much as we learned from Imam Hassan al-Banna, Imam Maududi, Imam Sayyid Qutb ... and we are still learning from our brothers who are alive here [in Iran]," Hilbawy said. He reaffirmed Muslim Brotherhood and Iranian animosity towards the United States: "We saw with our own eyes how the Soviet Union collapsed thanks to God ... and I pray to God Almighty we would witness the renaissance of Islam and unity of the Muslim Ummah, so we can see with our own eyes the overtaking of the remaining superpower (USA) as it falls and divides in front us day after day." Iran, Hilbawy said, is the only country that the West fears and he hopes Iran becomes a model for the rest of the Arabic and Islamic world. For nearly three decades, Iran has been a major financier for Hamas – the Muslim Brotherhood's Palestinian terror wing, which has been an obstacle for a sustainable peace between Palestinians and Israelis. Hamas also has worked to destabilize Egyptian national security and the peace agreement with Israel. It compromised Egyptian national security by digging tunnels to smuggle personnel, weapons and commodities, which has led the Egyptian army to launch a major campaign to destroy thousands of these tunnels across the Egyptian/Gazan border in the past years. Critics say the nuclear deal's terms gave Iran a clear path toward developing a bomb once the deal ends. Egypt is well aware of this fact and the threat posed by Iran's developing ballistic missiles capabilities. The Khorramshahr medium-range missile tested last September can travel 2,000 kilometers with a payload of 1,800 kilograms. Once operational, it can reach Tel-Aviv. If it can travel 700 kilometers further, it can reach Cairo. Egypt, therefore, is understandably concerned about sanction relief that helps Iran fund such offensive missile technology. Furthermore, Iran's hegemonic ambitions include financing Yemen's Shi'ite Houthi rebels who toppled their government in 2014 and controlled the Yemeni capital Sana'a. That move gave Iran control of the Bab-al Mandeb strait and thus threatens Egypt's military and commercial interests in the Red Sea. Moreover, Iran-backed allies are gaining ground politically, with Hizballah winning 13 parliament seats in recent Lebanese elections. Iranian-backed Houthi fighters have held Yemen's capital Sanaa for four years. Accordingly, Egyptian officials believe that the United States withdrawing from the nuclear deal may be a step to slow Iran's expansion and stop the region from falling into further chaos. While most agree on the Iranian threat to Egyptian interests, political strategist Ahmed Sarhan said it might have been better "re-negotiating the deal... not breaking it while [the U.S.] kept pressuring Iran to stop their regional hostility." But political analyst Amr Bakly, director of Cairo Liberal Forum, praised the move. "The last three years have proven the failure of all the Obama administration's attempts to contain the Iranian regime. The end result was Iran receiving funds and economic privileges that enabled the regime to contain the rising domestic anger against it and sustain its continuous infiltration of the region through funding of the insurgency and instability in Yemen, Iraq, Syria and Lebanon," he said. "I do not think that increasing pressure on Iran could negatively affect the stability in the region, because since the signing of the deal by Iran, its foreign policies have not changed and therefore the world has to deal with the Iranian regime by its true nature. I believe that the outcome of the recent Lebanese elections has accelerated Trump's decision to withdraw from Iran's deal," Bakly said. In 2014, Iranian MP Ali Reza Zakani bragged that Iran controls four Middle Eastern capitals – Damascus, Beirut, Baghdad and Sana'a in Yemen – demonstrating its expansionist ambitions in the region. Egypt will not sit idle watching a fifth capital added to that list and hence, welcomes curbing the Iranian regime by the United States.